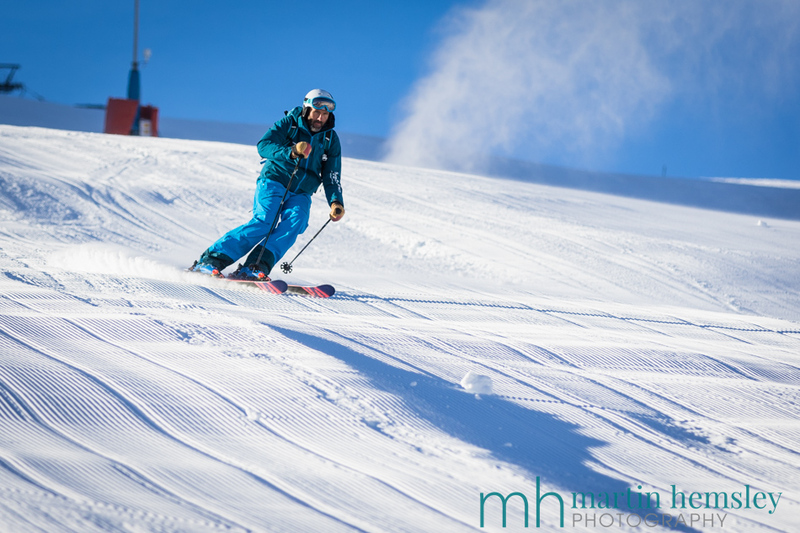 Hi everybody, and welcome to another blog post direct from Méribel. 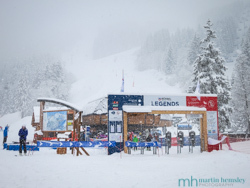 The previous articles have been about snowy images around resort, and whilst these amazing scenes have continued due to what seems like endless storms this winter, I'd like to concentrate this time on ski technique and improving our performance. 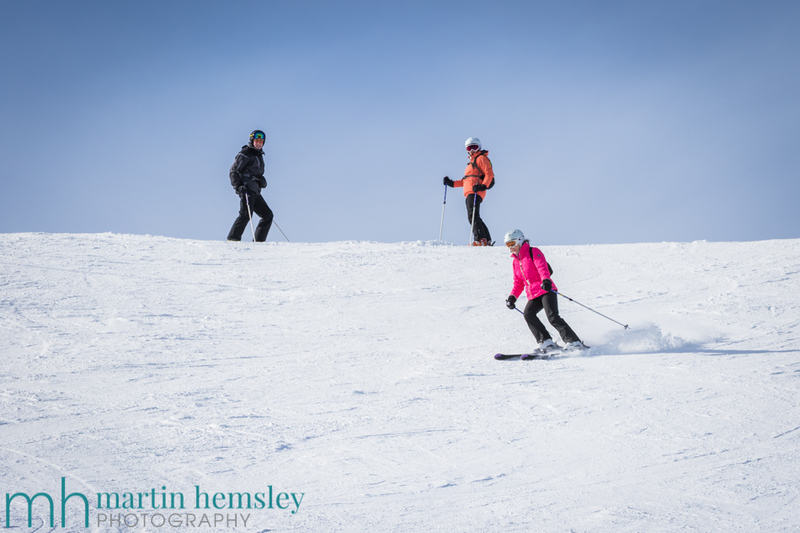 At the start of each ski lesson with clients, especially if I've never met them before, I will ask "What would you like to achieve, and cover, during today's session?" As a ski instructor, I want to have it clear in my mind what people's goals are. 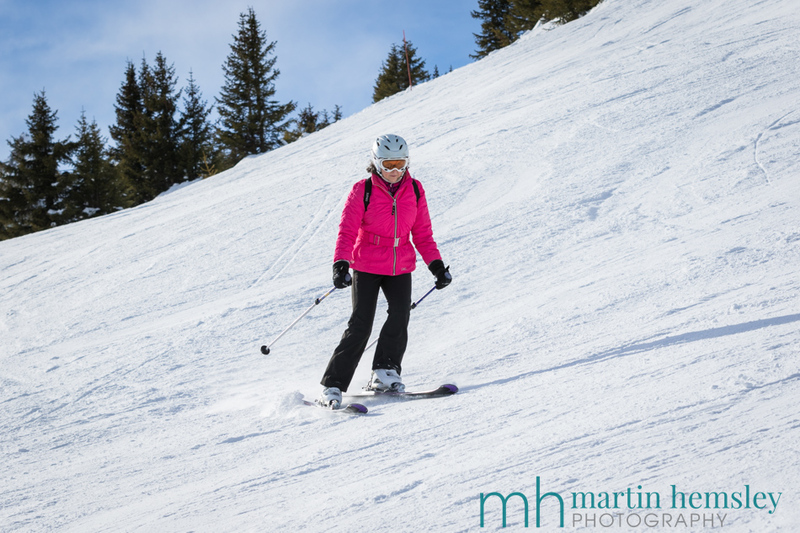 Natalie skiing down the 'Suisse' black piste in Courchevel. Quite often I will hear the phrase "I want to improve my style." This is an interesting statement to make, and completely understandable. However 'style', especially when it comes to skiing, can be very subjective. For example in the fashion world, style can be quite varied. There are many different styles out there because one style might not be right for everyone. And this is the same with skiing, what someone might like about somebody else's style, may not necessarily mean that it will be good and effective skiing. Chris also skiing down Courchevel's 'Suisse' piste. Plus, I think that it is important to note that we all have our own style. However, in the defence of those of us wanting style, I believe what people really mean is that they want control. Control of their line, and control of their speed. In other words, they are able to travel down a piste (or off-piste) in the direction that they want to go, without accumulating speed. This will give the impression of a skier achieving a certain amount of effortless flow down the mountain. How cool does that sound? My mate and fellow ski instructor, Slippers, skiing in Val d'Isere earlier this winter. This picture of my mate Slippers above, is interesting. If you were to superimpose an image of me in place of him, it would look slightly different! How come? Slippers and I are the same height, we are a similar weight give or take a few kilos, and we are the same age within six months. And yet if we were to wear the same ski clothes, people would be able to tell us apart because our skiing is ever so slightly different. However, and this is the important point - Slippers and I will be controlling our line down the mountain, we will be controlling our speed, and we will have a flow to our skiing and motion. And yet we still have a slightly different style. Judy enjoying the groomed pistes. So let's for the moment forget about finding style, and think about how we can control our line and speed down the mountain. There are several factors (or performance threads) that can help us achieve this control - Psychological, Physical, Tactical and Technical. My goal during this post is to try to keep things simple so I don't lose readership! With that in mind I won't go into big detailed discussions today. However let's break these four factors down, starting with Psychological. This is a big one, and a number of things in our mind can affect us both in a negative and positive manner. Negatives could include poor visibility or snow conditions. 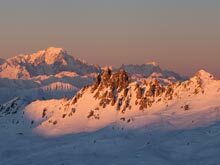 Selecting a piste that is beyond our comfort zone. Even peer pressure. If you are able to recognise any of these at the time, take a pause and acknowledge the fact and try to find a way to compensate. On the positive side, the list could include how the weather and snow conditions are in your favour. We've all had those 'wow' moments in sunshine when life feels great on skis. 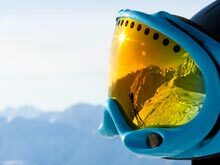 This can really help your skiing style. Next up - Physical. If you are feeling tired and under the weather then of course your performance will be affected. Just like above, when you recognise this, take a break for a hot chocolate or an early lunch and try to refuel. On the positive side, if you are feeling fresh and energised, then my goodness it's the best feeling ever. Again, this will help your skiing style, or should I say control of line and control of speed. 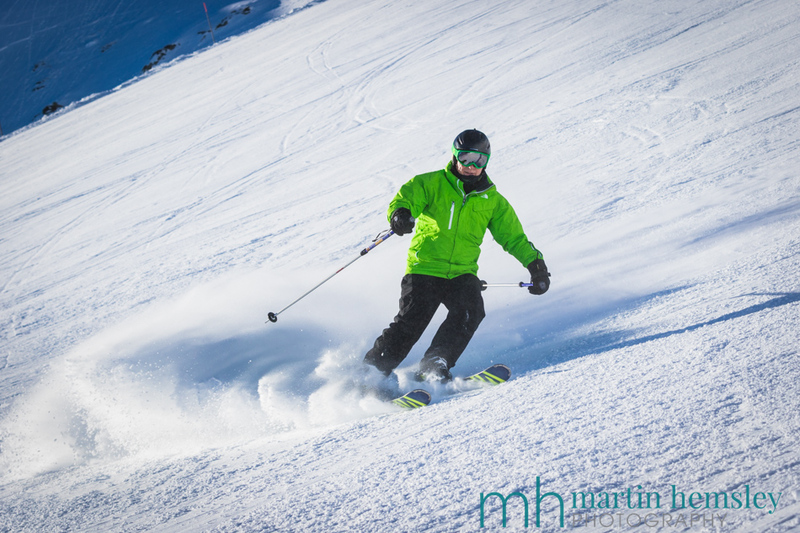 Tactical - Not many people would think about this aspect of skiing, but it can also have a big affect on your skiing performance. 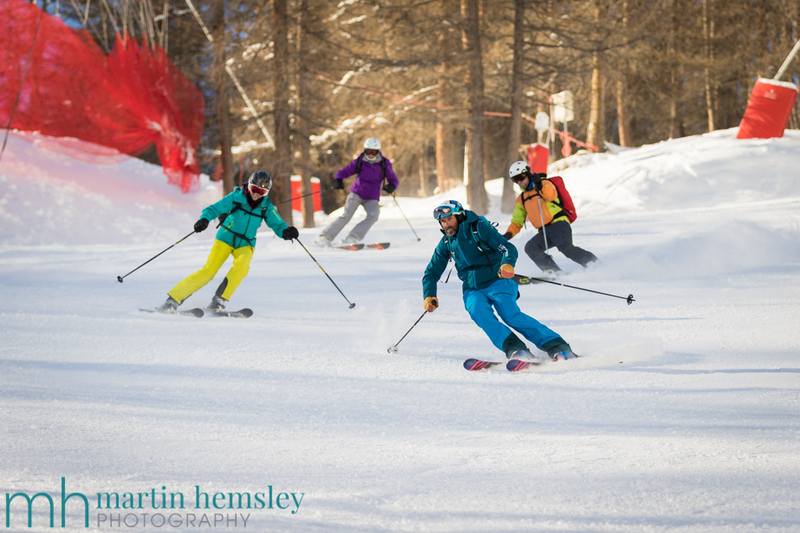 The choice of piste that you take, and the line down that piste can affect the look of your skiing. For example, if you were to choose a narrow piste, sometimes people will suddenly feel tense and then start rushing their turns. These turns may end up looking like 'Z' shaped turns. On a positive note, if you are able to slow the turn down a little into more of a smooth shape, similar to an 'S', that might help you relax more and give you more confidence. This will have a positive knock-on affect to your control of line and speed, i.e. style! Susan concentrating on her balance over her skis. And finally - Technical. This is probably the area that, when people book ski lessons, they think is most important to their skiing. This can also be a focus that people - and some ski instructors can be guilty of this - believe that it can be incredibly complicated. Like anything, of course ski technique can be made to sound like rocket science. But the good news is that I firmly believe the opposite; I think that up to 95% of us can improve our performance by keeping ski technique simple. By this I mean looking at how we are balanced on our skis, and how we physically turn them, also known as steering. As mentioned earlier in this post, I want to keep it simple for the reader. So let's briefly look at a skier's balance. There are three planes of balance - fore and aft, lateral, and finally rotational. With trained observation, an instructor will be able to spot any area of improvements with your balance. It can be incredible how sometimes just a subtle change to your balance can be positive. 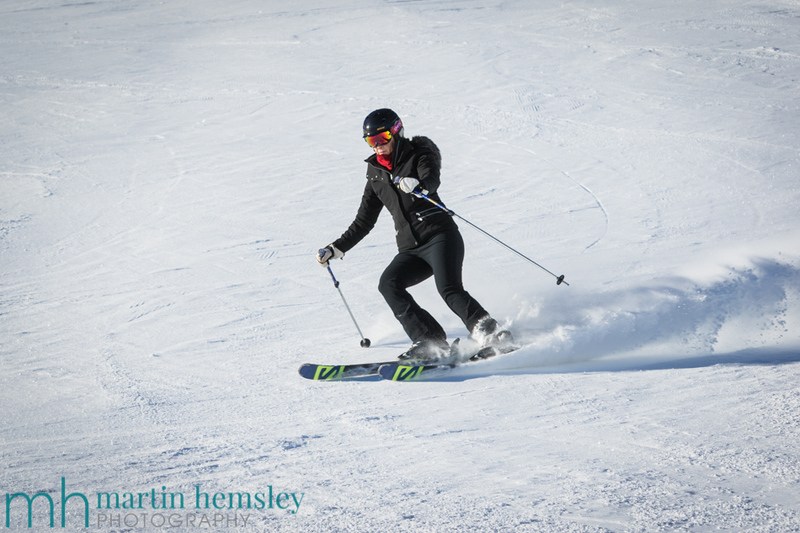 Likewise, a double check of your steering (turning the skis) by a trained eye can also reveal any other areas of improvement. 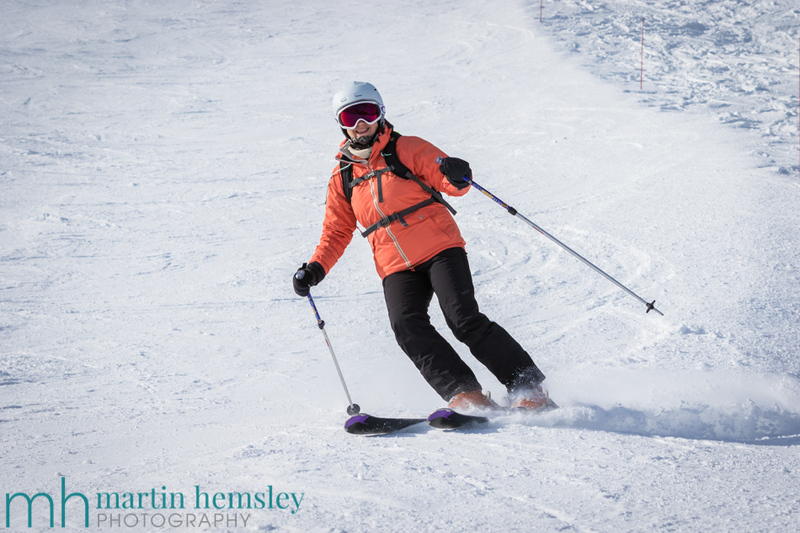 Astrid enjoying the line she is taking down the Chenus piste in Courchevel. I truly believe that if someone thinks that they are on the 'Intermediate Plateau', they will still be able to make small changes that can give larger gains. Or a better skiing style if you like. 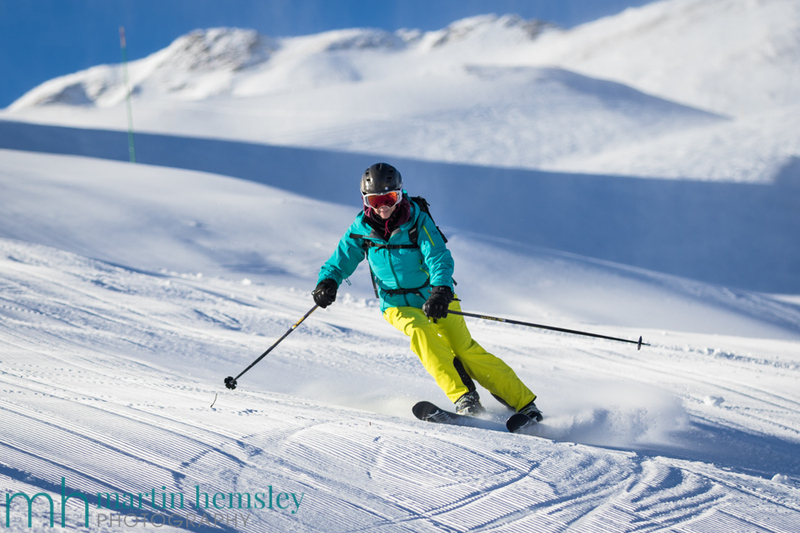 Or in ski instructor lingo, better control of your line and speed which results in fluid skiing. Whichever way of describing it - feeling better on skis. And let's face it, that is the ultimate goal, and a priceless experience on your precious holiday. I hope you enjoyed this post, feel free to get in touch via the contact page on this website, click here. And also feel free to share away on social media as well by using the social media buttons. Oh, and the snow conditions at the moment are ridiculously good. This winter is certainly going down as a classic. Do come back soon. Martin.